On the palate: full-bodied and sweet. Candied orange, juicy fruit gum, lime peel. Finish: Very sweet and a little tingly. Mixed: Does well in almost everything. Best suited to Tom Collins and Gin & Tonics. Does OK in negronis. Makes for a sweet martini, which is ok but not my preference. Parting words: New Amsterdam is a servicable gin that does well in applications that call for sour or bitter ingredients that can balance out its sweetness. It comes in a stylish bottle that makes the gin look higher on the shelf than it is. For a gin that sells for under $15 retail, it does well. My expectations were met. Can’t complain. New Amsterdam gets a mild recommendation. There’s a bit of a controversy over this gin because there’s less juniper in it (like a toe in the water so to speak). Which is why a debate started over on Drinkhacker over whether this deserves to be called a gin when there is so little juniper. Interesting. I don’t look at Drink Hacker very often. What was the conclusion, if any? The comments were actually pretty negative over the positive review given for New Amsterdam. Since juniper is a key ingredient in gin most of the commenters felt this didn’t deserve to have gin in the name. I have yet to see DH give a negative review for anything so it’s not surprising. I do think that saying that NA doesn’t deserve to be called gin is a bit harsh. There are many gins in which juniper takes a back seat. Not that I would ever buy New Amsterdam ever again. That’s the Internet for you. A few posters did defend the gin saying that the lack of juniper makes it easier for gin beginners. 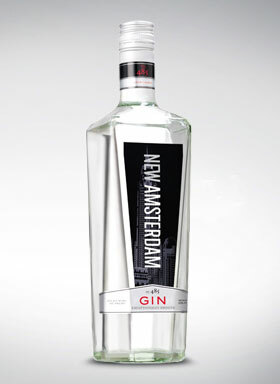 Thanks for finally writing about >New Amsterdam Gin | Sipology <Liked it! Greetings from Los angeles! I’m bored to death at work so I decided to check out your blog on my iphone during lunch break. I enjoy the information you provide here and can’t wait to take a look when I get home.